Don't Look any further for PC or MAC Repair in Minneapolis / Saint Paul. Highest Quality Repairs at an Affordable Price. We offer In-Home Repairs as well. Please check out what our customers say about us Customer Reviews. Also Check out our Deals on Laptops and Desktop Computers when they come available. Computers for SALE!!!! I'm constantly trying to research new products and technologies. I have taken the work out of knowing what to buy and where, trust me you don't need to spend that much on Spyware and Virus programs. Also there is no program out there that will totally keep you clean so please read some of my other TIPS to help you on this journey to combat viruses. With my proven security solution, there's no need to purchase costly programs at yearly fee's that just don't work. Your protection is the first line of defense against identity theft and hackers, so follow my steps and have the confidence to do all the things you love to do on the internet. So download any of these programs just by clicking on the image. 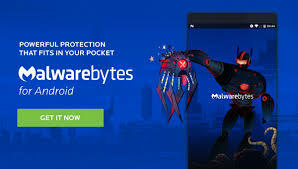 Malwarebytes is a low cost program that is very effective when you purchase the for 3 PC'S for a year now it's changed but still $24.95. Please uninstall any other anti-virus/spyware programs prior the installing our solution.